The last desktop PC I owned was a 2009 iMac. I now use a laptop every day for work, connected up to two monitors and a keyboard and mouse. 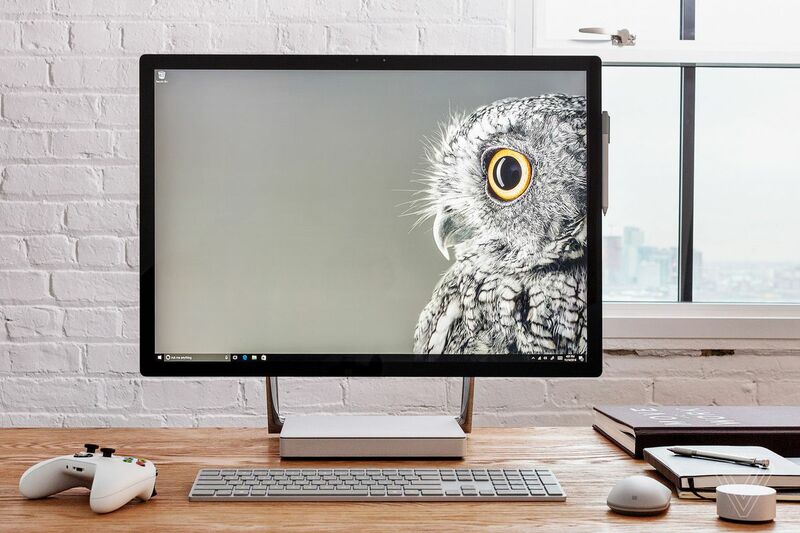 Desktop computing hasn’t really changed for nearly 40 years of boring beige or black PCs, but Microsoft’s new Surface Studio is trying to shake things up in a surprising new way. It’s going after the Mac’s oldest stronghold: creatives. Apple’s iMac might have tempted me a few years ago with its pretty looks and the chance to get familiar with macOS, but like a lot of people I simply don’t need an all-in-one desktop PC. That’s not stopping me from considering a Surface Studio. It’s a different type of desktop PC that transforms into a giant tablet for drawing. Although I’m not your typical creative, I’ve been testing the $3,000 PC for the past week, and I can’t stop tinkering with it. It’s clearly designed for creatives that would typically buy a Wacom Cintiq, but I still really want its monitor. The heart of the Surface Studio is its 28-inch PixelSense display. It’s stunning to look at and it’s truly one of the best desktop monitors I’ve ever used. It makes things feel oddly lifelike because you can’t see the pixels — text, videos, and pictures just look great on this thing. You can even hold a piece of paper up to the screen and the Word documents shown on-screen will be the same size. The only way you could improve this monitor is if it was OLED like Lenovo’s ThinkPad X1 Yoga. The Studio uses a 4500 x 3000 (192 dpi) resolution, primarily because it actually has a 3:2 aspect ratio. That’s really unusual for desktop monitors, but it matches the same ratio used on the Surface Pro 4 and Surface Book devices. I love extra vertical space for reading and writing, even if it takes a little getting used to on a display of this size. The display is glossy and reflective, but I didn’t find that too troublesome in my own office space.